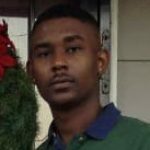 Remembering Grandin Lavoy Weaver Jr. | : Hardeman County Funeral Services Inc.
Obituaries » Grandin Lavoy Weaver Jr.
Mr. Gradlin Lavoy Weaver Jr. age 25, was born February 25, 1993, at Jackson General Hospital to Gradlin and Sherry Weaver. He accepted Christ at an early age and joined Old Bethel Missionary Baptist Church, where he remained until his death. Weaver; his father Gradlin L. Weaver Sr. His only sister, Vanity Weaver, Robertson (Shontavius); two grandmothers, Betty Weaver and Betty Tomlinson; one great grandmother, Aggie Lewis; seven aunts, Amy Weaver, Annit Tomlinson, Brenda Wooden (Larry), Carolyn Payne (John), Deloris McCarley, Gordon “Jean” McNeal, Martha-Jean Moore; seven uncles, Demarlo Haywood, Griffin “Leon” Weaver Jr. (Denise), James Tomlinson, Mark Edwardos, Morris Tomlinson, Ronald Perry, Walter Tomlinson (Annie Mae); one nephew, Shontavius Robertson Jr, a host of cousins and friends; a special friend, Shekeria Price and special friends The Oak Hill Crew.